I’ve been a part of the Medically Supervised Injecting Centre (MSIC) Consumer Group for just under a year now. I use at MSIC a bit, which was the main qualification for membership. I was told to speak to the manager who organises the MSIC Consumer Group, so I told her some of my ideas for improving things. She thought my input would be useful and invited me to the group’s monthly meetings. Another priority is working with the broader community to let them know we are friendly, not scary! We want to get the message across that people who use MSIC are more than drug users, we are human beings with many interests. One strategy is the annual Art Show, which features the amazing works of many talented people who use MSIC. I was an Art Champion for the most recent show “Art from the Heart of the Cross”, which was really magical. You might have seen the huge billboard at Kings Cross Station – it has the tag line “Sometimes a painting is more than just art”… and of course, a person who uses drugs is a person who does many things with their life. The Consumer Group also talks about how we can connect people who use the MSIC with other health services. It’s a two-way street – it’s about helping people get onto services they need as well as helping those services understand the MSIC’s work. MSIC wants to get across the message that it’s not just an injecting centre, it offers a range of services for people who inject drugs. MSIC in now looking to get peer volunteers working in the service. Because I have been a PPP for about 3 years, I’ve been able to share my experience of volunteering at NUAA. I think involving peers is the difference between an OK service and an amazing one. Had I not been involved in NUAA, I'd never have been involved in MSIC. Not only has it given me the knowledge and experience about providing services to people who use drugs, it has also given me the confidence and tools to express my opinions. Before I started with NUAA, I was the quiet one in the background, anxious and shy. Now I am the one who is loud and proud, telling it how it is and how it should be! I even attended a large meeting as one of only three peers to talk about the value of injecting centres and that helped lead to the establishment of an injecting centre in Melbourne. I am so proud of myself that I have come this far, that I am making a real difference for my community. Connecting with other Aboriginal people has been a special opportunity for me. As an Elder, I understand where Aboriginal people are coming from, especially the Stolen Generation. We all have that brother/sister connection and there’s no judgement. We respect each other’s beliefs and lifestyle. I’m so grateful for all the love and understanding I get from the Aboriginal community, and the chance to give back. Through being a NUAA PPP, I’ve learnt to believe in myself. 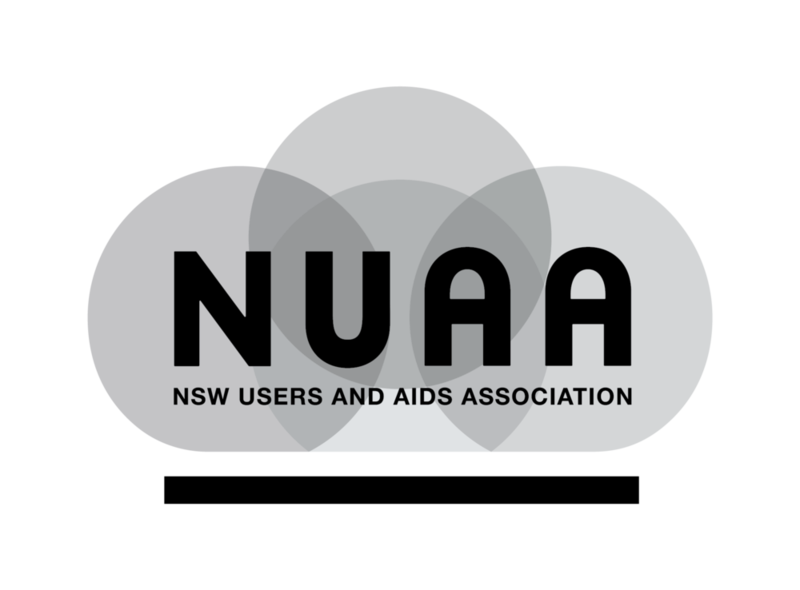 I really believe that if I hadn’t become a NUAA volunteer, I would not be the advocate for people who use drugs that I am. I would be just another number in the Aboriginal community. Instead, I’ve learnt to be outspoken and to stick up for people who were quiet like I was. I really enjoy representing people who use drugs. As well as being part of the MSIC committee, I have spoken at Memorial Day, which commemorates people who use drugs who have died. I do Welcome to Country for events. I have spoken to the media about being a peer worker. I walked in Mardi Gras for a community organisation. Now I am applying to be on other consumer groups. I’m also looking at a career in organising volunteers! I am so happy. But it would never have happened if NUAA hadn’t helped me find my voice.